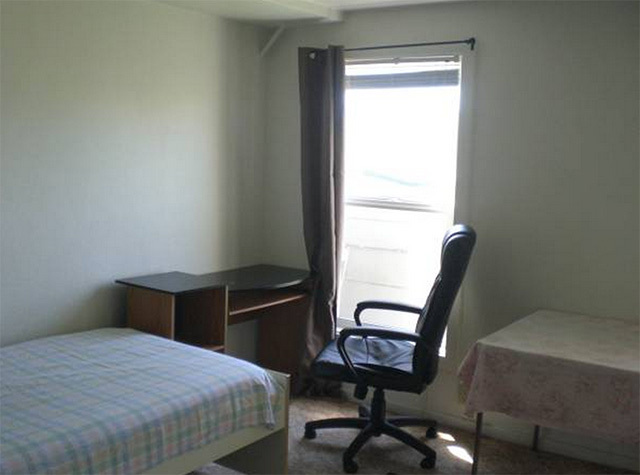 Apartment Sadness: 280-Square-Foot Sunset 1-Bedroom For $1280, Or Is It a Studio? As of today, I'm moving our Apartment Sadness column out of the News category and into Arts & Entertainment, because I'm pretty sure these posts are just being enjoyed for a dose of schadenfreude and laughter. And, yes, this is what it's come to. The sadness of our real estate market is hardly news at this point. Today I bring you this gorgeous, furnished, 280-square-foot Outer Sunset one-bedroom  or is it actually just a bedroom? 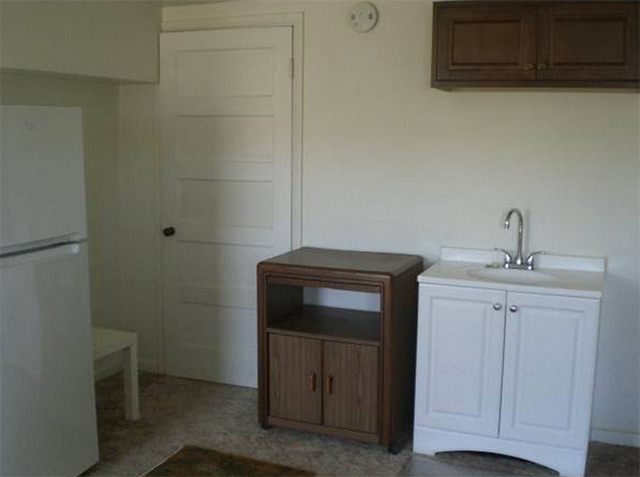 The ad calls it an in-law, but also puts it in the 1-bedroom listings, and calls it a studio in the headline. The opening sentence refers to it as "a studio in-law bedroom." As you can see it comes with two sinks. One appears to be intended for kitchen things, though it is the size of a bathroom sink, and the other  oh, no, wait... I think that's the only sink. 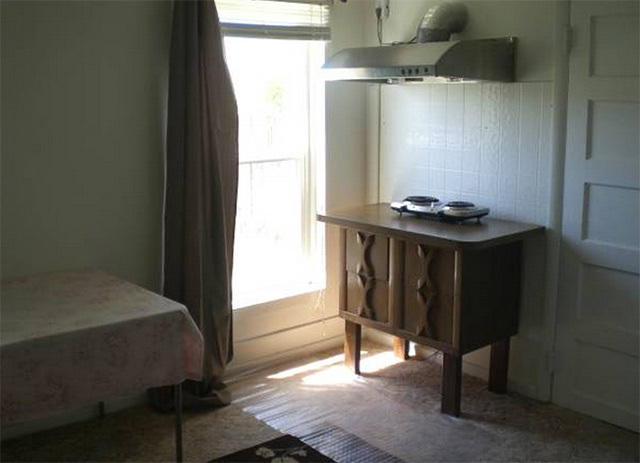 And perhaps at one time there was a stove in this little place, judging from the fact that there's a full exhaust hood installed, but that has been replaced by a hotplate sitting on an ugly dresser. And by "furnished" the owner is referring to a card table, a sad desk, desk chair, and twin bed. Did I mention there's no laundry? Yeah, no laundry. 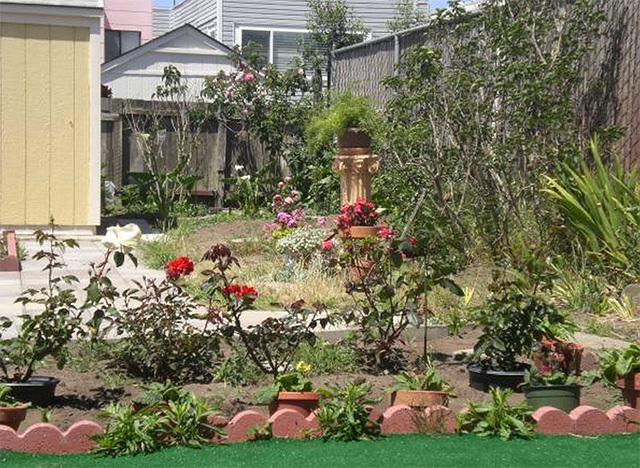 Among the amenities "proximity to local cafes, shops, restaurants, laundry stores," and also this charmless rose garden lined with Astroturf. 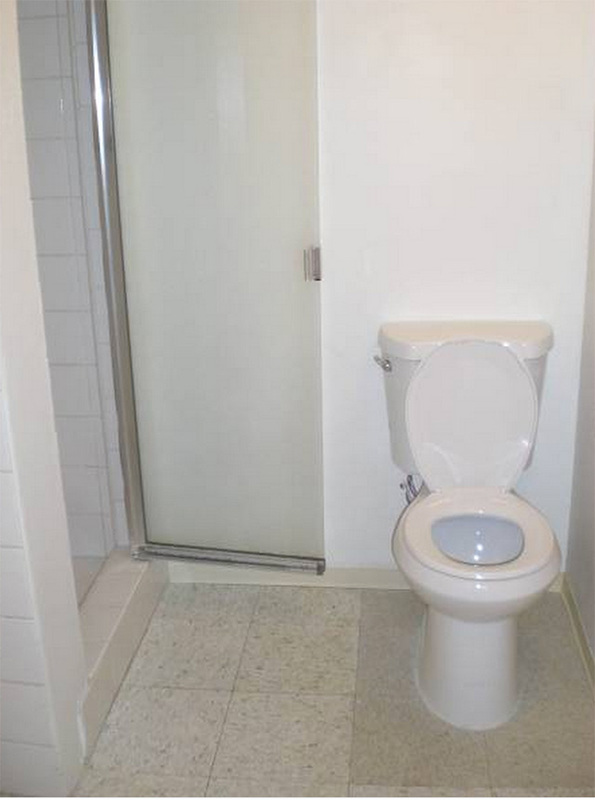 The ad points out that "The sunny room provides ample privacy [for] someone who wants her private space without dealing too many complexities of roommates." Not that they're going to give preference to women or anything. But hey! It's only $1280! Where else in the city can you live by yourself for that price? And it doesn't matter that you only have a twin bed because 42nd and Judah is kind of a trek from the local singles scene, so the ideal candidate here is probably celibate anyway.